“Where is the love”? ….. When a new arrival comes into our care with little to no history the first thing we will take note of are their physical needs: are they underweight, have they lice, how are their hooves, are they strong enough to worm, do they need to be gelded, are they microchipped, etc … that, believe it or not, is the easy part of our task. The hard part is getting them to trust us: letting us approach them, letting us touch them, letting us show them what love is. 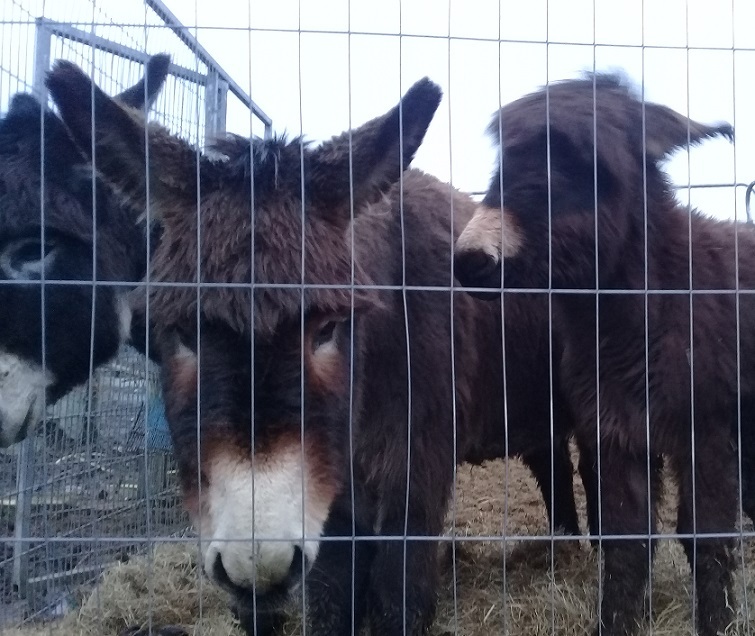 Anyone can provide an animal with hay, fill a container of water or give them some ration but that is just the basics of animal care, truly looking after an animal must encompass their mind as well as their body. For example a visit to a stable or livery yard where you see horses in perfectly fitted out stables with clean bedding, etc might leave you thinking they are the most lucky horses in the world but as the saying goes “don’t judge the book by the cover”, perhaps those horses do not get the opportunity to spend time together loose in a field, perhaps their owner is very harsh with them when training, etc. 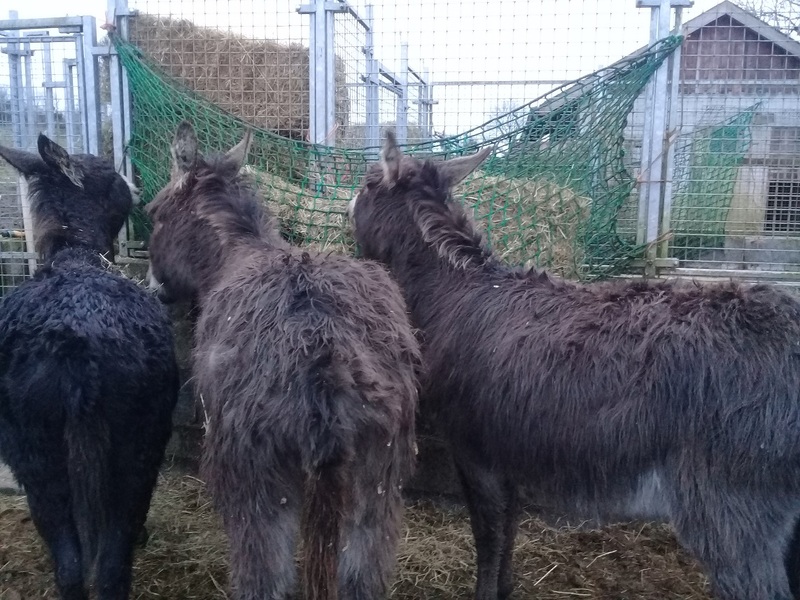 This winter eight additional donkeys have arrived into our care from three different parts of the county, four of them required serious attention to their overgrown hooves. 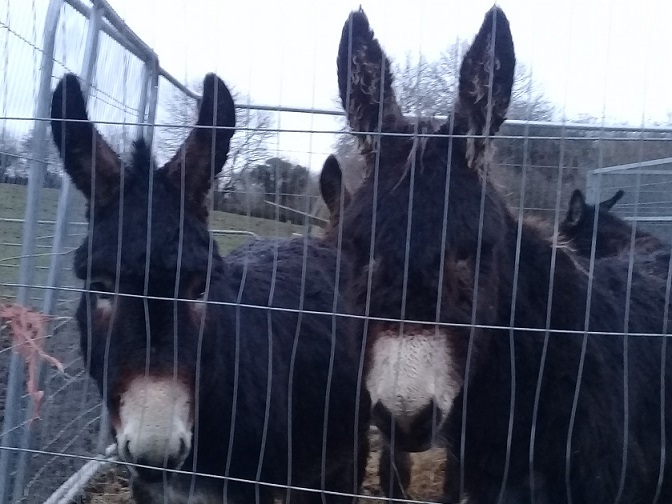 We are blessed with the way our farrier handles the donkeys and horses, never raising his voice or getting forceful with them, but still we witness the fear they feel due to not being handled correctly or sufficiently in the past. The sadness of seeing them shake, feeling their body tremble against you while you are trying to reassure them that what is happening is going to be of benefit to them, is something that stays with you for a long time. There is nothing fast about how we approach the rehabilitation of nervous, unhandled, abused animals that come into our care. 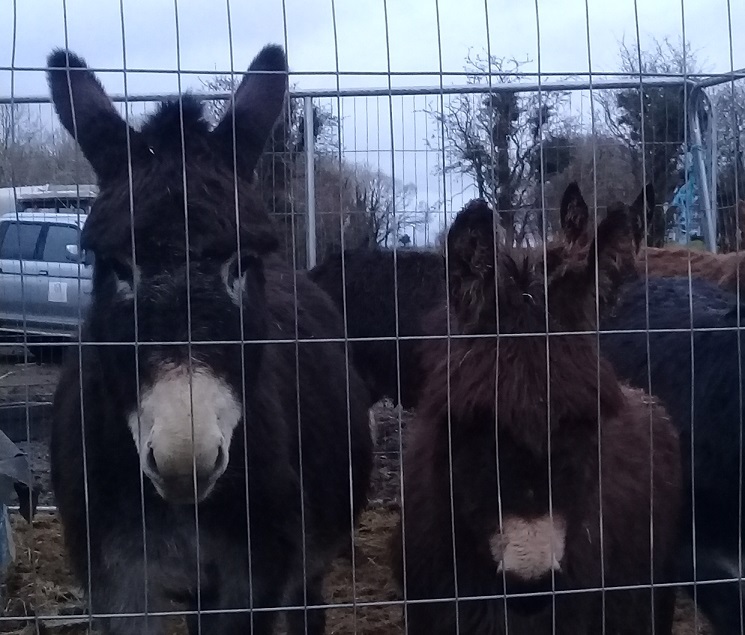 Each one is treated as an individual, once their initial medical needs have been met together with a start on building trust and they have been with us for 3+ weeks they are released out with the rest of the animals. When they are out with the others they can see the trust the others have with humans, they see the others willingly approach humans for attention even when there is no food involved and it is from all these interactions that, without them even being aware a change is happening, their fears reduce and their trust increases. For some it can be a relatively quick transition and for others it can take much longer but the rewards are great when the day arrives that you find yourself with a new attention seeker at your side.